Mastertech’s basement mold removal professionals in South Jersey can identify if your basement has a mold problem and develop a safe and effective scope of work for mold removal in your NJ basement. Once your basement is clean and safe, our mold removal team will make recommendations for the necessary basement mold preventatives to ensure that the mold problem does not return in the future. If you detect signs of mold development in your basement, call now for basement mold removal in NJ. Help is just a phone call away. Why Do You Have Mold in Your NJ Basement? Yes. Some people may have stronger reactions to basement mold than others. 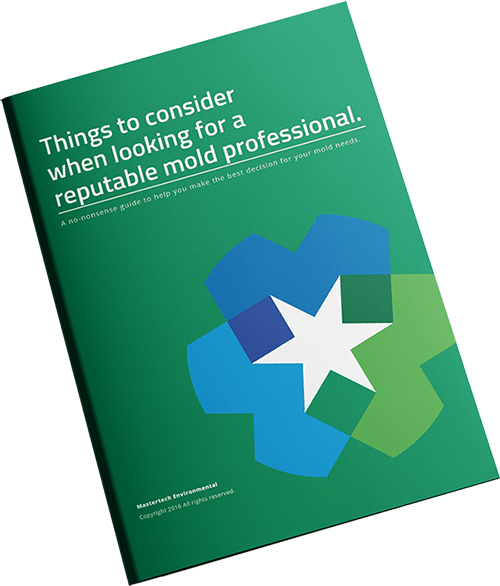 This reaction depends on your immune systems, the length of time of exposure and several other factors, but many mold species can negatively affect everyone – even healthy adults. Since many NJ basements contain HVAC components like air handlers and duct work, much of the air from your basement is circulated throughout the entire home. This is why we recommend a thorough duct cleaning with an antimicrobial after or as part of every basement mold removal in NJ. If you suspect damp conditions in your basement have contributed to mold development, you should contact us today. A trained and certified Mastertech mold inspector in Southern NJ can conduct a thorough basement mold inspection and get to the bottom of the problem. Visual Assessment – Your Mastertech Inspector will complete a comprehensive visual analysis to determine any conditions that could stimulate mold growth in your basement. We will provide you thorough digital documentation for your records. Moisture Mapping – Your inspector will carefully map out the damp or wet areas of your basement to determine where water or moisture could be getting in. Moisture Meters – Moisture meters allow us to read the moisture content of building materials in your basement. Moisture locked within porous building materials like foundation walls can go unnoticed for a long time. Thermal Imaging – Your mold inspector will be taking advantage of the temperature difference between wet and dry materials. Thermal imaging will allow your inspector to clearly identify all wet areas and paint a picture of the mold spread. Basement Mold Testing – Surface and/or air quality tests will provide scientific data that will confirm or deny the presence of mold. If mold is confirmed in your basement, the test results will help your inspector figure out the most appropriate course of action to resolve the mold issue. Report of Findings – After completing your basement mold inspection in NJ, your inspector will compile a clear and concise report that outlines all his/her findings. If deemed necessary, your inspector will present you with a detailed scope of work for a safe and effective basement mold removal. Every basement mold removal project, completed by Mastertech trained team of mold removal technicians, is backed by a 5-year, mold-free warranty. It is the Mastertech promise that the basement mold is gone, and it will not return. The NJ basement mold removal professionals at Mastertech Environmental will specifically develop the most efficient and safe NJ basement mold removal scope of work to ensure the most thorough and successful clean up of your property. Each Mastertech mold removal is backed by a 5-year, mold-free warranty. At Mastertech, each technician on our basement mold removal team must undergo intensive technical and safety training to ensure that each mold removal technician is ready for the job. With our focus on quality control and safety, you and your family can be sure that we will provide you with the safest, most effective and most efficient basement mold removal services possible. We strive to exceed client and industry standards by going the extra mile to get the job done right. 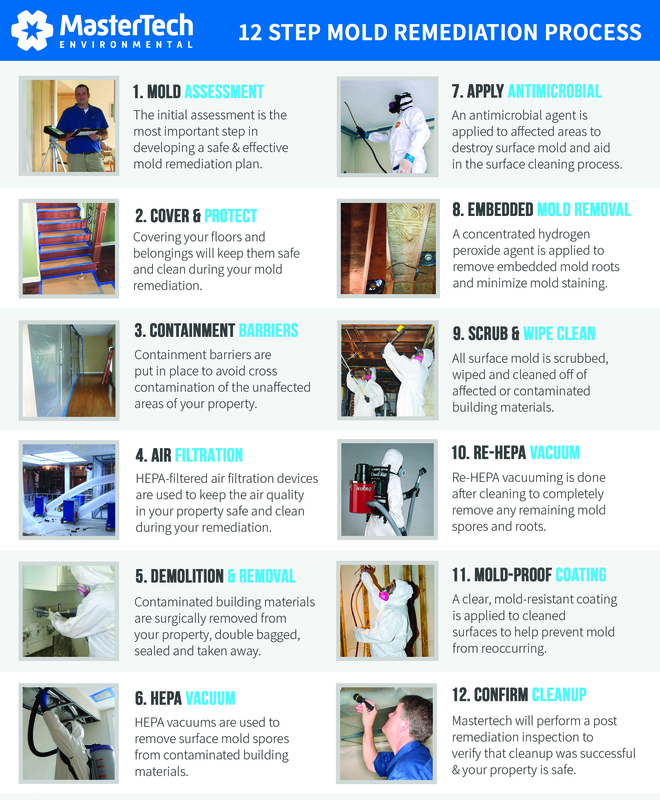 Call 609-948-8844 today for your Basement Mold Removal Estimate. We will be happy to answer all your questions and schedule you for an appointment with one of our professional mold inspectors. In addition to professional basement mold removal, Mastertech Environmental also provides the following professional mold services: attic mold removal NJ and crawl space mold removal NJ.